Nike gives its premium neutral trainer a revamped upper. But the Vomero’s new found firmness may not appeal to those who come to expect a soft, pillowy feel from this line. Any neutral runner looking for comfort over performance. The Vomero is Nike’s premium neutral trainer, known for delivering big cushion for any runner looking for extra comfort and protection. The seventh version introduces some interesting changes. Out is the crash pad in the heel, and in is a redesigned upper, all while managing to shed about a half ounce (11.2 oz., men’s size 9). Other than these visible changes, it seems Nike fiddled with the feel of the midsole. It will be interesting to see how these changes go over with the Vomero’s fan base! Normally, Nike offers a wide variety of colorways. But not the Vomero 7 -it is mostly grey. Luckily, running shoes are for running, not for making a fashion statement! For a big shoe, the Vomero 7’s forefoot flexes fairly easily in my hands. Torsionally, it is somewhat rigid, twisting and turning some, but not a whole lot. I believe this torsional rigidity will translate into some mild support through the gait cycle. The Vomero 7 keeps the plastic heel counter on the exterior, and it is firm, which means it should keep the heel locked in. Over all, the Vomero 7 is what one would expect from a traditional neutral trainer. I have never run in the Vomero line before, but I knew its reputation for providing big, soft, pillowy cushion. So, when I laced them up for the first time, I was surprised by how firm it felt. 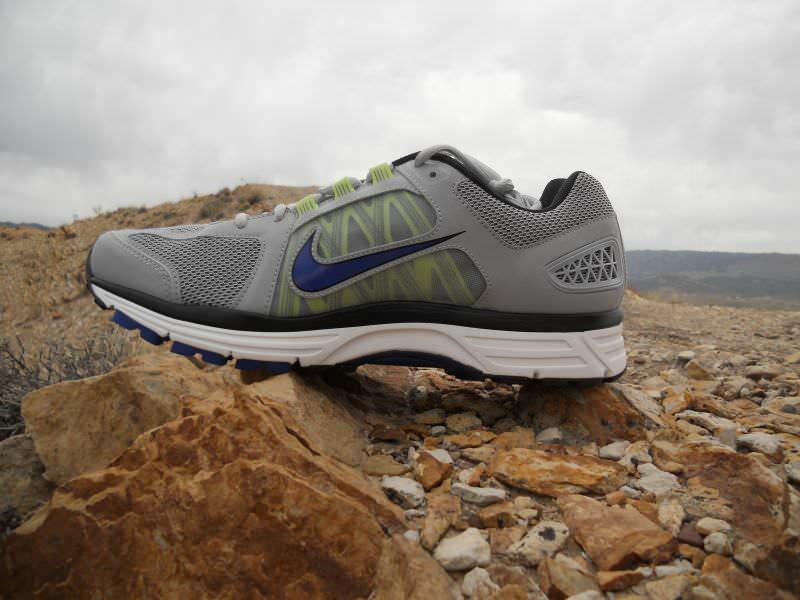 I have done a lot of training in the Pegasus – and like the Pegasus – the Vomero has a full length Cushlon EVA midsole. But the two shoes feel very different. I suspect Nike tinkered with the Cushlon in the Vomero to firm it up. Of course, we are not talking as firm as, say, a Mizuno shoe, but the Vomero 7 certainly feels firmer than the Pegasus, which is not what its reputation would lead one to believe. If you are familiar with Nike’s Phylon EVA (in the Structure and Elite), they felt comparable. This surprising firmness combined with its overall construction gives the Vomero 7 a fairly stable ride for a shoe in the neutral category. The price to be paid for all of this premium cushioning and firm feel is a stiffer transition. Though the Vomero flexes fine in my hands, on the run, I thought it felt rather wooden from foot-strike to toe-off. 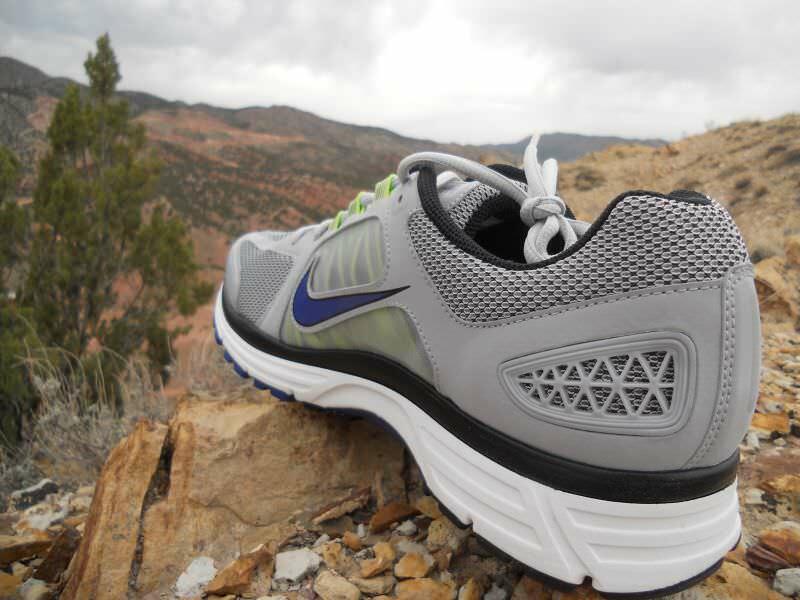 It had some responsiveness, which I attribute to the Zoom Air unit in the forefoot (it also has one in the heel). But it was not enough to compensate for the overall stiffness of the shoe. I will say it seemed to loosen up after 30 miles, but I still would not describe the Vomero 7 as a flexible shoe. This is not all bad. Neutral runners wanting some extra support for the end of long runs, for example, may find the Vomero appealing. But for someone looking for a fast transitioning shoe, and is willing to sacrifice top level cushioning to get it, may have to look elsewhere. The redesigned upper on the Vomero 7 is, in my view, a complete success. If you have had any issues with the upper fit in past iterations of the Vomero, I think Nike may have found the solution in the Dynamic Fit system. Dynamic Fit is a series of small reinforced bands that run along the midfoot. 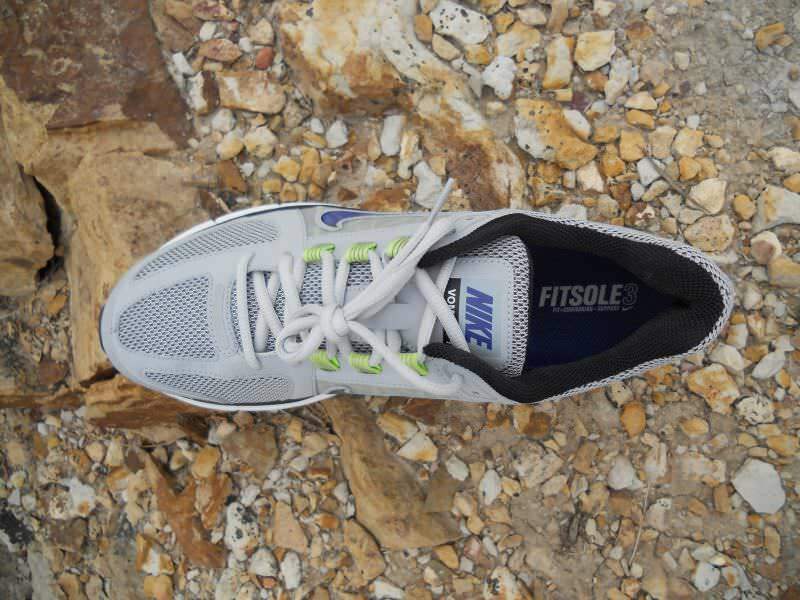 It allows you to customize the fit by adjusting the lacing. Additionally, the eyelets on the Dynamic Fit system have a parallel configuration, which takes pressure off the top of the foot. The result is the ability to get a secure, customized fit, without creating any hotspots. Another benefit to the Dynamic Fit system is that it allows Nike to use less overlays through the midfoot thus allowing them to open it up. The midfoot features window-like mesh panels, which allow for plenty of breathability. One area I think Nike could improve is increasing the breathability of the toe box. 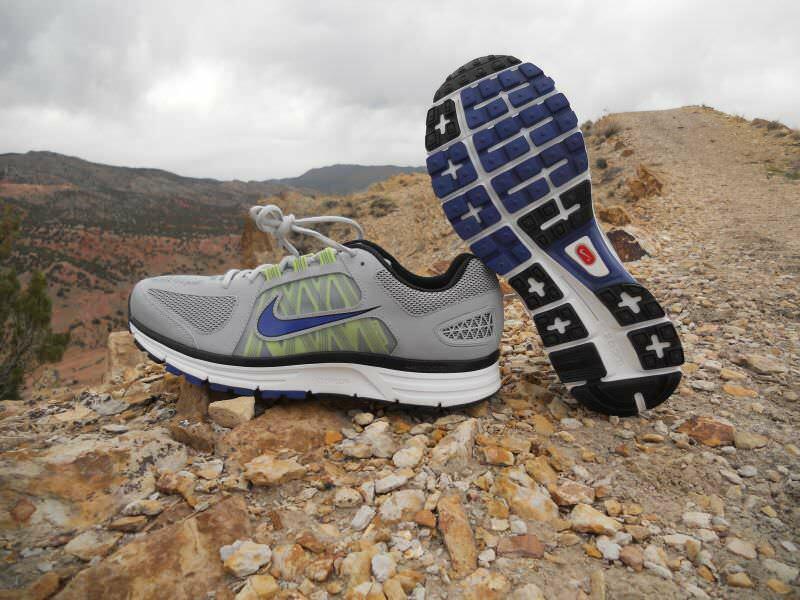 With the Vomero, Nike is trying to reach any runner who is seeking premium cushioning and a comfortable ride. In that sense, the 7 is a success. Not a fast transitioning shoe by any means, but the Vomero 7 offers maximum impact protection, and a comfortably fitting upper, thanks to the Dynamic Fit system, which will appeal to Clydesdales or runners looking for something extra on long and recovery runs. Like I said, the 7 seems to go against the reputation the Vomero line has for being a soft-feeling shoe, and it will be interesting to see if longtime fans of the Vomero will embrace this new firmness. we thank the nice people at Nike for sending us a pair of Vomero 7 for review. This did not influence our review of the Vomero, written after running more than 50 miles in them! I cannot decide between the Zoom structure or the Vomero, as one gait analysis some years ago suggested overpronation, but a more recent one suggested neutral! Can you actually harm yourself have a structured shoe when you don’t actually need it? I have plantar fasciitis I’m 5″3 and weigh 80. What do u think lll be better vomero or Pegasus . Couple of comments and backround, I’ve run in Pegasus since the very first ones, yes, 29 years ago, and loved them. In the last few years, the Vomeros have taken priority. I’m 150#, always have been, so I don’t consider myself a Clydesdale, nor would I limit the Vomeros to people over 200#, but consider it as another higher end shoe for neutral footstrike runners, and I am one. I don’t consider it clunky or stiff, either, perhaps it’s just that they are less flexible than the Pegasus. Since I’m older now (age 61) and so running slower, perhaps the need for a little added cushion is needed instead of added flexibility. Would I race in the Vomeros? No, I’d still go the LunaRacer, LunarSpeedLite area. The new Vomero 8 is almost an ounce lighter, and it’ll be interesting to see how that translates to a quicker-feeling shoe in the era/trend towards more minimalism. The Vomero is firmer and stiffer than the Nimbus. The Vomero will not have the medial support the Kayano has. I’m not sure what causes you knee pain, so I can’t comment on that. But if you are looking for a plus cushion shoe, then the Vomero might be worth a try. Great review – really useful. I ran in the Pegasus 28 and loved them, so bought the 29 when they came out. Since running in the 29, I’ve experienced ankle and calf soreness that I never got in the 28’s. Do you know whether the 29 is a wider shoe than the 28? I have narrow feet, and I feel as though the 29 is not as snug as the 28 was around the ball of my foot – am wondering whether the ankle pain could be from lateral movement? The Pegasus 28 and 29 is the same dimension-wise, as far as I can tell. However, the upper construction on the 29 is much more forgiving than the 28, and so I suspect that is what you are noticing. I don’t think going down a half size will resolve the issue. I also think the Vomero will be a totally different experience for you. It is a much stiffer and firmer shoe. You can try out the Vomero, but if you are open to switching shoes, then I’d suggest expanding the shoes you’re willing to try at this point. Thanks Daniel, sure does. I think I’ll give the Vomero’s a try – and head for my local sports podiatrist if that doesn’t work. I used to run in Mizuno and Brooks, but loved the cushioning in the Pegasus…might be time to consider alternatives though, as you suggested. Thanks for the reply. These are a lot better looking in person. The lack of style is made up by the amount of comfort. A very nice soft ride. Took these on a 10 mile run last weekend and despite being a new shoe, they felt great for a neutral runner. A definite upgrade from the Pegasus. I bought these specifically for longer distances and so far they have exceeded my expectations. I loved the Vomero 5 and 6’s. When I ran in the vomero 7, I got shin, knee, and ITB pain. I did not get that new shoe good feeling. I have been wearing Nike running shoes for years. I used to wear Nike skylons. I have high arches and supinate. I train for marathons and triathlons. A running store had me try the Mizuno Wave rider. They caused knee pain also. 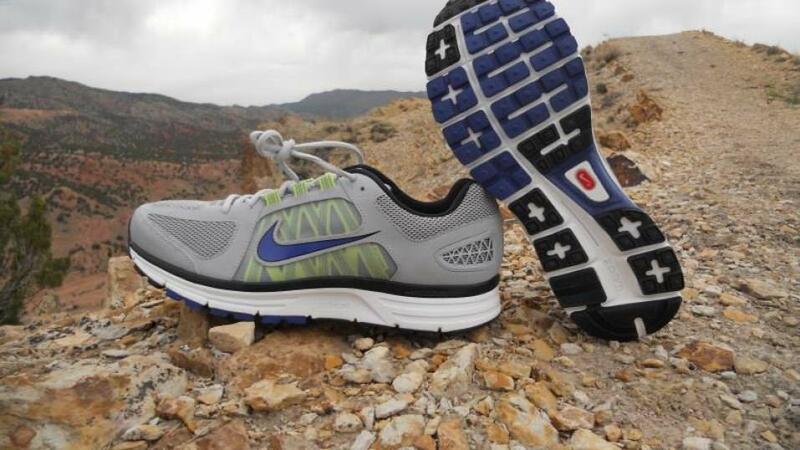 What is the most comparable running shoe to the nike vomero or skylons? Thanks!! I think the closest shoe would be the Pegasus. Give that a try. I’ve been using the Vomero pairs for almost three years staring with Vomero 5. I ran two half marathons and a 10k race in the Vomero 6 and it was perfect. However, I had some problems with my shins recently. I usually run on the treadmill, 10-15 miles a week. I weight 119 lbs, and I’m 5.1 ft. Not sure if I should go for the Vomero 7, Asics Nimbus or Air max. Of the shoes you mention, I’m not sure the Air Max is advisable for running. You might give the 7 a try. But I feel it is a different shoe than the 6. I think the closest shoe would actually be the Nike Pegasus. I’d recommend you give the Pegasus a try. The Nimbus is also an option, but it will be more squishy than pillowy when it comes to feel. I hope this helps! Thank you very much Daniel, I will definitely try the Pegasus. I had some blisters during my last half marathon and I think I could use good cushioning. Not sure about the Air Max either, and I don’t think I’d go for the Nimbus, not sure if I’ll like the squishy feeling! I’m torn between the Pegasus and Vomero – I wear orthotics to correct overpronation but they work best in a neutral shoe. Which shoe is the best for me? It’s difficult to tell you what is best for you, since I don’t know any information on your running and shoe history. But if you are looking for a shoe that will present very little inherent stability to go with your orthotics, then I think the Pegasus would be a better fit. The Vomero 7 is, in my view, a fairly stiff and rigid shoe. And for a neutral shoe, the Vomero is fairly stable because of that stiffness. I am a 32 yr old. I am looking for a running shoe on a hard surface. I tend to over pronate my left feet while running. I have swelling in my arc(left leg) and due to which my left leg has become flat. I did consult a doctor and he said that my arc in my left leg not rigid, but has less arc as compared to the right arc. I have no problems in my right feet and my arc is normal. I experience pain in my knees and shin. The shoes that I have shortlisted are Asics GT 2170 and Asics Gel kayano 18. In Nike its Pegasus 29 and Vomero 7. Of the shoes you mentioned, I’ve only run in the Nike Vomero and Pegasus. Of those, I don’t think either will provide the type of arch support you are looking for. Another option is to look into an orthotic that’ll provide the specific support you need. I would like to complement you on your excellent reviews. They are very helpful. Thanks a lot.The reply has been very helpful I think I will go for the Vomero. 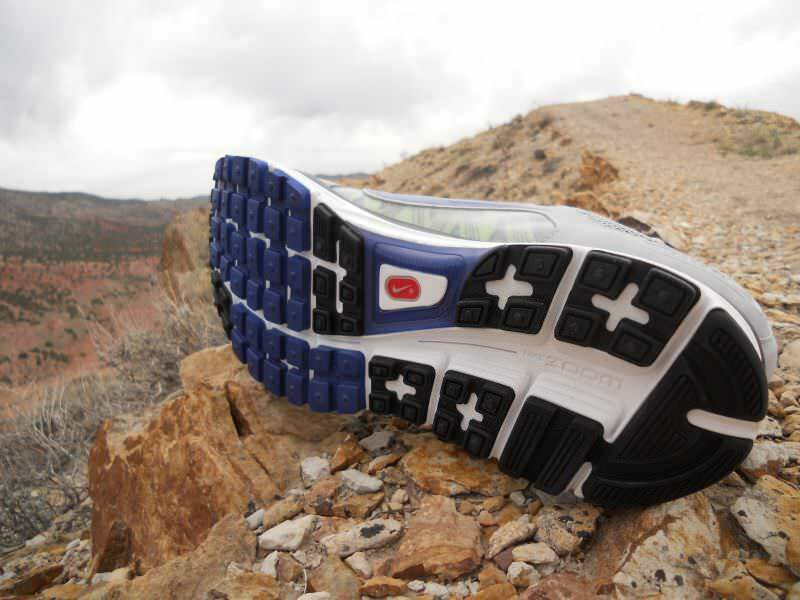 Have you reviewed any walking shoes of New Balance, Asics, Nike or Reebok. I was looking at Nike Vomero +7 or Pegasus 28 or 29. I tried Pegasus 29 and Vomero +7 at the store. Found the Vomero +7 more cushiony and stable in comparison to the Pegasus. Unfortunately the Pegasus 28 is not available for trying as it will have to be ordered online. I have a problem of slight pain in the knees and the heels, so cushioning comfort is helpful. I note that you prefer the Pegasus to the Vomero when it comes to cushioning. I also dont understand the difference between pillowy and cushioned. I think they are the same experience. Can you clarify and give your recommendation please. As far as cushion in the absolute sense, I think the Vomero and Pegasus are the same. By pillowy, I am referring to the feel of the Pegasus. The Pegasus, for me, feels more airy and softer on contact, while the Vomero feels firmer. I prefer the feel of the Pegasus. If you are not noticing a difference when walking, then I would disregard these descriptors. If you are looking for cushion only, then you can’t go wrong with either choice. If you want a shoe that will be more supportive, then the Vomero is the way to go. If you don’t care about support, but want more flexibility, then the Pegasus. How well in general do you think the Vomero range stack up against top of the range Asics options? Do you consider the Vomero to be top range in terms of nike? It depends on what you consider better. The 7 is certainly different than the 6. It is a lot firmer, and stiffer. If you want a very pillowy ride, then you may look at the 6 or the Pegasus. If you just want a ton of cushion, then the 7 should suffice. As far as how they stack up to ASICS: they are very different in feel. ASICS uses gel in the midsole which gives it a very soft and squishy feel. Nike has a more pillowy feel to them. So, again, it depends on what you are looking for in a shoe. Thanks for the review. I bought it 2 months ago and before I read it. Base on the review, I’m not sure I would. I ran for many years and this is definitely one of my favorite. Daniel, I’ve been using the Vomero line for years and I’m not impressed with the 7. What would be your recommendation if I’m looking for a shoe that closest resembles the feel of the 3/4/5? I run a lot – more than 60 miles a week on average – and am a neutral runner/weigh 130 pounds. I’m not sure if there is a shoe quite like the old Vomero on the market anymore. But the closest thing I can think of is the Pegasus. It’s got that big pillowy feel, and is very flexible. So you might give that a try. Why oh why would Nike get rid of that AMAZING cushion the 3’s and 4’s had? It just doesn’t make sense to me. I literally bought several pairs of the 4’s when I realized the 5’s were too stiff for my feet. The 6’s were just as bad and I’ve given up on the 7’s based on your review alone. (I have a lot of feet/ankle issues and wear orthotics almost everyday So shopping for new running shoes can take hours/days.) I’ve tried other brands, including Brooks and Asics but find that after a few hours (sometimes less) my feet throb and this is just with walking in them. I’m on my last pair of 4’s and really should’ve gotten another pair by now, but I’m just crossing my fingers that one comes available on ebay. I would literally pay $200+ for a pair of 3’s or 4’s b/c I know I could put them on and walk for hours in them without having to break them in and without any pain. I know you’re a fan of the Pegasus but they don’t offer enough cushion. I love my Nike’s and have been wearing them solely for the past 10 years, but is there something else in their line I should try or is it time to jump ship?? Unfortunately, the only other Nike shoe I’d recommend would be the Pegasus. You might try the Lunareclipse, but I won’t guarantee it will work for you. I have not tried Hoka brand shoes, but I know they have a reputation for well cushioned shoes. Another shoe I do have some familiarity with is the Mizuno Wave Elixir. Plenty of cushion, but an entirely different feel from Nike. Sorry if that’s not much help. Thanks for the reply. Great site and great info. i bought them 6 weeks ago, and already both shoes have holes in the front sole, from where you push of. havent used them in strange places, off road. never seen shoes getting destroyed that fast. I am having a hard time deciding between the Vomero 7 and the Pegasus 28. I’m 6’4″, 205 lbs., with 4E feet and custom orthotics for my high arches. I think I am basically a neutral gate runner but have always been told to get something supportive like the NB 587 because I’m a big guy with strange feet. My soles wear down on the outside back edge (and I wear a hole in the insole under the ball of my foot). I do a mix of trail and pavement and move at a relatively slow pace because I am prone to knee soreness and tightness in my lower back. Both the Vomero and Pegasus seem comfortable around the house, so I’m torn. I wouldn’t infer anything about gait from the wear patterns of your shoes. If your orthotic works with the Pegasus, then I’d lean towards it because the Vomero is fairly stiff. If you’re finding you need more shoe, then the Vomero would be a better fit. I hope that helps! I think there is a difference between firmness and cushion. Cushionwise, I think the Vomero 7 is substantial, and should protect you from any impact forces you produce. Firmness is another story. Two shoes with the same cushion but different degrees of firmness will feel totally different. I think you’re looking for a softer shoe. If that’s true, I’d recommend looking at the Pegasus 28 (or 29). I’d also recommend looking at the Mizuno Wave Enigma (I’m testing version 2 right now). I don’t have much experience with Asics, except I tried on the new Cumulus and thought that was firmer as well. I hope that helps! Daniel – Excellent review. Enjoyed reading it. I’ve run in the Nimbus 13 and Glycerin 9. Switched to the Vomero+ 6 and really like the ride. So happy with the Vomero+ 6 that I bought multiple pairs. Of course I’m looking down the road to when they are no longer available. The Vomero+ 7 disappoints me a little as all reviews state that the shoe is firmed up. I need the cushioning. I am 55, 215lbs and I’ve had some shin problems in the past. Since the Vomero 7 has firmed up a bit what do you recommend for my next shoe? Thanks. I really enjoyed this shoe. Then again, I thought the previous Vomeros (5 & 6) had a pogo stick feel that was too much for me. I probably have 150 miles on my pair, and the firmness subsides some as the miles go by, so keep that in mind. The lower profile is great for those of us that land more mid foot and it takes pressure off the knees a little. Good job on calling out the dynamic fit, which is by far the best part of the shoe. Nike found a winner with this! If you have any oddities in your foot shape, as I do, this really helps. Thank you for reading Nathan. I agree the shoe breaks in some after about 30 miles, but I still wouldn’t describe the shoe as soft, especially by Vomero standards. But I’m glad you’re liking this shoe! I must have a bone transplant in my knee and ortopedic surgeon said I should wear sneakers to through my wait on the other leg and walk with a cruch. So I wonder if the Vemore 7 is the ideal shoe or what do you suggest? Please send me a email as I have to buy asap. Thank you.